"I WANTED THE BEST WING CHUN IN ORANGE COUNTY BECAUSE I NEEDED PRACTICAL SELF-DEFENSE, NOT SPORTS-BASED OR EGO-DRIVEN MARTIAL ARTS. WHAT I FOUND WAS WAY MORE THAN WHAT I EXPECTED... TRULY LIFE CHANGING!" Whether you’re an adult looking for highly effective martial arts in Irvine and the calm, centering that comes with it or a parent looking for real confidence for your child instead of a tournament-based buy-a-belt factory, our Wing Chun school is definitely for you. Maybe you've read reviews from our students or heard first hand of our Wing Chun school's reputation. Voted best martial arts school in OC, we're proud to be able to represent quality Wing Chun in Orange County in such a big way. But this really isn't about us at all. This journey is about you! Because you stand on the threshold of changing your entire life. The more you learn about our Kung Fu school, the more you'll want to be a part of our unique martial arts family. Our spacious Orange County Kung Fu school in Irvine (along with our Dana Point martial arts school) is the leading authority for Wing Chun in Orange County. Our martial arts family consists of over 150 students of all ages - all training for the love of the art. Their infectious passion for this unique form of kung fu is inspiring. They are the heart and soul of our Wing Chun school. For both adults and kids, our Irvine martial arts classes offer outside-the-box development - things you don't find in other activities, sports or training. Our instructors keep you motivated with engaging and fun classes, personalized hands-on instruction and caring guidance for martial arts, self-defense and beyond. When Yip Man (aka Ip Man) began teaching Wing Chun publicly in 1949, his unique martial arts system gathered quick attention for its devastatingly effective close-quarters dominance. His students took on challenge matches and annihilated other forms of kung fu. Unlike other kung fu styles, Wing Chun is not based on animal movements. It finds its basis in science, the human body and the laws of physics. Our Irvine Martial Arts programs provide both adults and children with strategic physical and mental self-defense training guaranteed to increase your energy and improve your confidence. Our Irvine martial arts instruction is proven to change you. As you improve your health and wellness, we create the warrior mindset within you. Our Orange County Kung Fu classes bring Ip Man's authentic Kung Fu to Irvine. 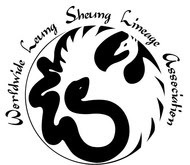 Our Wing Chun school is proud to be the only institution in Orange County to hold the valid lineage under Ip Man's senior-most student, Leung Sheung. Led by Orange County Wing Chun Kung Fu Sifu Derrick Mansell, certified Leung Sheung lineage holder, you can be certain of the credibility and authenticity of our methods. We are more than just another class you will take. The Dragon Institute is a lifestyle and a philosophy of excellence. The Dragon Institute stands alone in its ability to empower anyone -- regardless of age, gender or ability -- using the scientific concepts and teaching techniques put to test over the last 60 years. There are a lot of martial arts schools, classes and other activities you can do. However, nothing compares to The Dragon Institute! More people choose The Dragon Institute over any other Wing Chun school in Orange County. Our student body includes adults & seniors in their 60s as well as kids as young as five years old. Regardless of age, they all know nothing compares to The Dragon Institute. "EASILY ONE OF THE TOP WING CHUN SCHOOLS IN THE COUNTRY. THEY ARE A TRUE REPRESENTATION OF HIGH QUALITY WING CHUN!" "SIMPLER THAN I EXPECTED. EVERYTHING MAKES SENSE AND THE WING CHUN CURRICULUM IS LAID OUT VERY CLEARLY." "FINALLY! A WING CHUN SCHOOL YOU CAN TRUST. DEDICATED TO PROFESSIONAL QUALITY OVER QUANTITY WITH AN AUTHENTIC ABILITY TO CREATE REAL CHANGE IN YOU!" 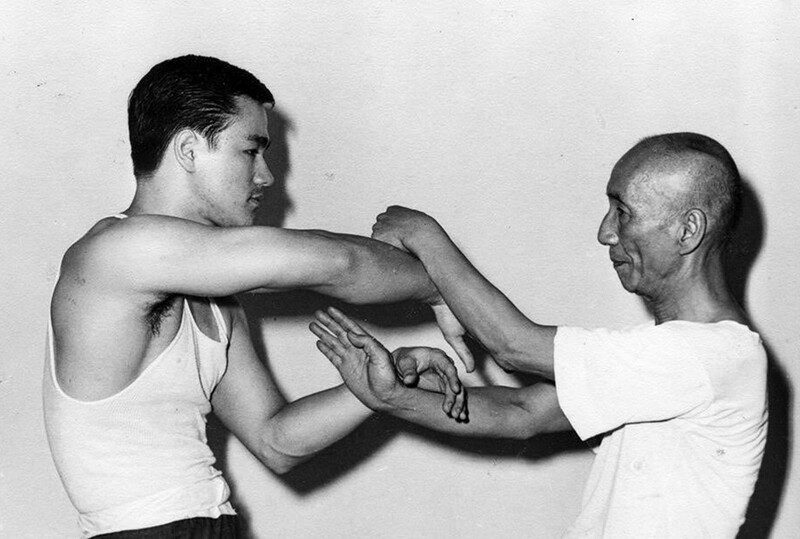 Bruce Lee practicing Chi Sao (sticky hands) with his sifu, Yip Man. As one of our nations largest and most respected Wing Chun Kung Fu schools, its a great honor to be able to pass on the authentic art and legacy of Yip Man (aka Ip Man) and his most famous kung fu student, Bruce Lee. Our Orange County Kung Fu school, The Dragon Institute, is the leading authority of Wing Chun in Orange County. More people, young and old, choose our classes, our kung fu school and our instructors than any other Wing Chun Kung Fu in Orange County - or southern California for that matter. We maintain two beautiful, professional locations / kung fu schools in Orange County. With over 150 students, our students come in all ages, shapes and sizes. They come in all fitness levels and from all walks of life. The common denominator is their dedication to seeking more from themselves. Located very centrally in Orange County, our Kung Fu school offers classes for adults and kids. Our school address is 8 Hammond Ste 113. We are located right off of Irvine Blvd. next to Lake Forest & Foothill Ranch. 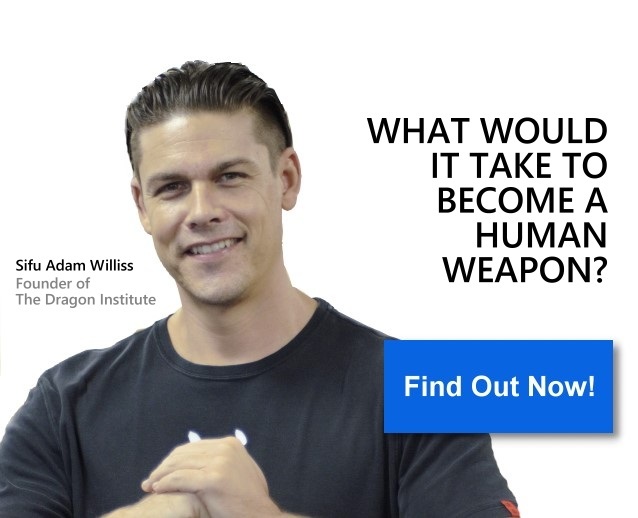 Everything we do is about helping you become a human weapon. Not a champion belt holder, form/dance expert or a time waster. This is not martial arts for competitions, point tournaments, or trophy collectors. This is martial arts that work in the real world, under real pressure from the nastiest of people. The harsh realities of self-defense are not what you see on TV, in the UFC or what you imagine it may be like. Self-defense is filthy. Its dirty and there are no rules. If you learn a sports-based martial art you will never truly know self-defense. The sad reality is that most popular martial arts today are sports-based arts. Why are today's most popular martial arts so poor for self-defense? Self-defense based arts do not kick high. As a two legged animal dependent upon stability and mobility, kicking high makes no sense. In self-defense, you must keep your feet as close to the ground as possible. Short, low kicks are much more effective for self-defense. Self-defense arts do not roll around on the ground. The ground is the last place you want to be in a self-defense situation. Going to the ground leaves you vulnerable to many things a rules-based sporting environment shelters you from including soft target gauging, biting, a second attacker, weapons and more. Instead, self-defense experts focus on keeping your feet on the ground, remaining mobile and controlling distance. Self-defense arts do not bounce around in a ring looking to open up an opponent. Bouncing around trying to get an opponent to open themselves up is purely competition-based. A self-defense situation is quick, unexpected and is never agreed upon. There is a tremendous difference between realistic self-defense and sports-based martial arts competitions. Self-defense arts do not look to "knock out" their opponents. Contrary to popular belief, trying to knock out someone by punching in the head is not the best or most efficient way to stop them. Going to soft-targets such as the eyes, throat or groin are entirely more efficient. Self-defense arts do not "cover up" as part of their defense. Covering up is too passive for a self-defense situation. It takes you out of an offensive-based mindset. According to our research, covering up increases your chances of getting hit by 250% when compared to an attack-based defense. Instead, defenses should be assertive in nature with an offensive-based mindset. However, Wing Chun is not a sport. It was created for one thing... self-defense. And it does an incredible job at what it was created for. Its not supposed look cool. Its supposed to actually work. Wing Chun is direct, to the point and makes no apologies for its lack of frills or fanciness. The entire art of Wing Chun is all about efficiency. Sometimes referred to as "Practical Kung Fu" or "Scientific Self-Defense," nothing is off limits in Wing Chun Kung Fu. It uses the hands, feet, shins, forearms, shoulders, head, knees, elbows and hips in a devastating self-defense system of trapping, forward pressure and fluidity to simultaneous attack and defend. Through our award-winning Irvine martial arts classes, you will feel yourself begin to walk tall with increased calmness and focus, plus become more aware of your surroundings for real-world self-defense while improving your overall health. Instructor motivation and mental engagement will keep you enjoying it. Make no mistake, you will become a human weapon. You will learn the most efficient self-defense tactics utilizing every part of your body for a complete and total mind / body / soul transformation. 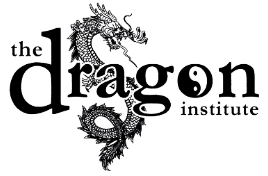 Self-Defense practitioners, real-world martial artists and close-quarters hand-to-hand combat experts agree, nothing compares to The Dragon Institute. Why Nothing Compares to our Kids Kung Fu Classes in Irvine. Make no mistake, it is our purpose to empower your kids with the Confidence, Character and Self-Esteem they need in order to succeed. Specializing in the unique form of Kung Fu called Wing Chun, our martial arts classes for kids are fun, inspiring and empowering! Our Kids Kung Fu classes teach children authentic Wing Chun with patience and encouragement. 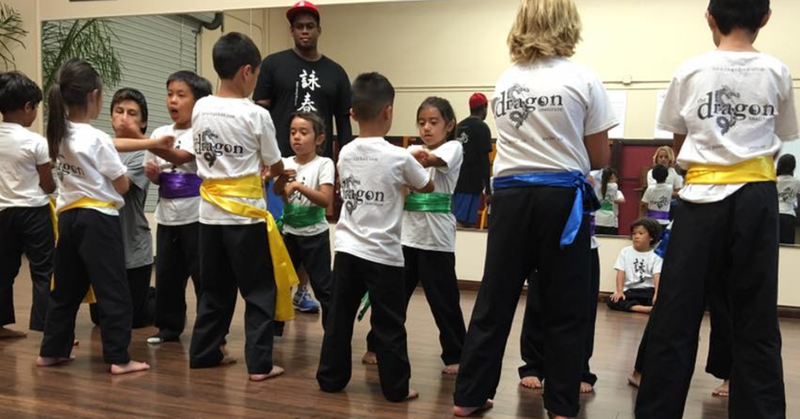 We offer evening kung fu classes for kids as young as 5 at our Irvine martial arts school. Why Wing Chun for Kids? Unlike other martial arts, kids at The Dragon Institute don't learn a sport for competition or tournament. Wing Chun teaches kids specifically for practical self-defense application. The Chinese close-quarters fighting art of Wing Chun is known for its effectiveness in real world self-defense, not impractical moves, high kicks, rolling around on the ground or unrealistic acrobatics. Wing Chun is employed by the Chinese Army as well as hundreds of military, self-defense experts & law enforcement agencies around the world including the US Navy Seals, FBI, CIA, French RAID and German SEK. Through our Kids Wing Chun classes, kids learn the science of self-defense, not a rule based sport. Sure they're kids, but we believe they need to learn real self-defense as soon as possible. The sooner they build functional muscle memory the more effective they will become. Wing Chun is unlike other martial arts. It is more a life-philosophy of success than simply a martial art. Wing Chun's philosophy is simple, direct and practical. And that's why it is so effective. It doesn't spend time chasing fancy things. It teaches kids to focus on priorities and how to become efficient in all areas of their life. Plus they have a lot of fun! Learning must be fun in order for kids to appreciate it. Although exceptions are made, we've found that age 5 or older is the ideal time to start. See our schedule of martial arts classes for information on days and times. A. Comfortable clothes like sweatpants and a t-shirt. Long jogging pants are also acceptable. Q. Should I just show up for my first class? A. If this is your first class with us, please contact us prior to coming. A. Kids/children classes 40 minutes, adults an hour and a half. Serving Orange County's Irvine, Lake Forest, Foothill Ranch, Tustin and beyond.